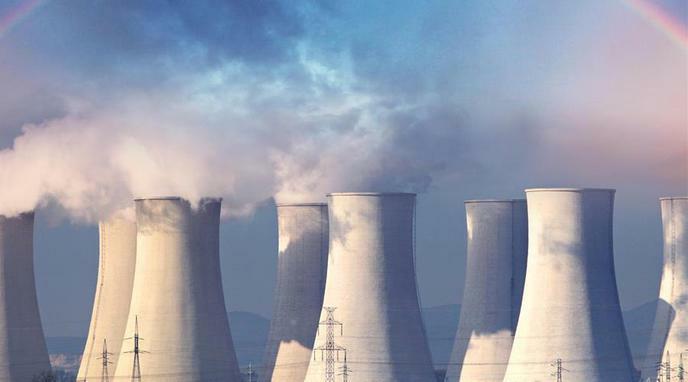 Nuclear Energy Institute, nuclear power plants do not produce particulate matter, such as smoke and dust. Unlike what happens with other forms of energy, nuclear waste is totally confined and can be stored, handled or later recycled or reused in future reactors leaving byproducts with shorter half-lives. Switching from coal to natural gas would have no effect on climate change, but would save $20 to $50 billion dollars in healthcare spent on illness from particulate pollution. theconversation.com Nuclear power would have the same effect on health, while also reducing climate change. 7,500 and 52,000 Americans meet early deaths because of particulate pollution from power plant emissions. theconversation.com Every year, fossil fuel plants kill more people than the death toll of all nuclear power plant accidents combined. Coal power plants kills more than 10 times as many people as any other energy source, per kWh, mainly from fine toxic particulate pollution. Coal power plants release thousands of pounds each of lead, cadmium, and arsenic per year. Nuclear reactors release less radiation into the environment per kWh in comparison to coal, since radioactive compounds are concentrated and released in coal fly ash. This does not take into account The other health risks for the production and handling of nuclear waste, including the (very) long term impact.